Benjamin’s portable grand piano is the perfect choice of instrument for a wedding ceremony, drinks reception or wedding breakfast. It will look and sound superb in any environment and can be set up easily both indoors and outdoors. 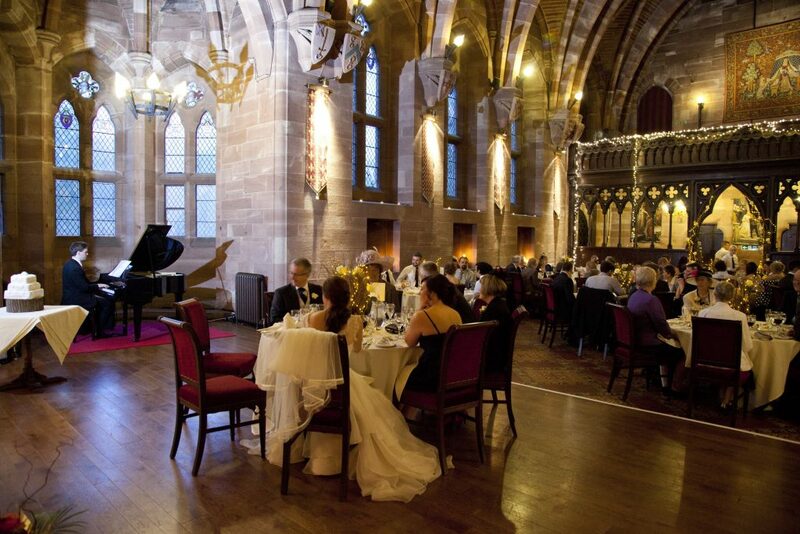 In addition to the portable grand piano, two other digital stage pianos can also be set up ready to play, allowing your music to flow smoothly from one part of the day in to the next; the Ceremony, Drinks Reception and Wedding Breakfast respectively. How is it a “portable” grand piano? Benjamin’s portable grand piano is made up of two parts; the outer “shell” and a digital stage piano keyboard that fits inside it. The shell itself can be dismantled, packed away in a bag and moved easily by a single person. “Real” or acoustic pianos that some venues have are not easily moved and more often than not have to remain in one place. Can it be set up outdoors? Yes the grand piano can be set up at any location, indoors and outdoors. Please note however that some venues have strict policies regarding amplified music being played outdoors. Will it sound like a real grand piano? The Yamaha digital stage piano that Benjamin uses and that fits inside the “grand piano shell” is one of the finest products on the market and one that has been the preferred choice of instrument by many top international artists including: Elton John, Lady Antebellum, Chick Corea and David Paich (Toto). The instrument is as natural sounding as any acoustic grand piano. It will also be perfectly in-tune, something that many acoustic pianos are not. Hearing is believing however and so why not arrange a free consultation to hear it for yourselves? Do you have more than one piano? Currently Benjamin is able to provide only the one black grand piano. In addition to the grand piano however he is also able to set up two other Yamaha digital stage pianos. This will ensure that the music can flow without interruption from one part of the day in to the next: Ceremony, Drinks Reception and Wedding Breakfast. Although these pianos do not have “shells” they will each have the same quality of sound as the grand piano. Will the grand piano take up a lot of room? The grand piano itself is about 5 square feet (1.5 square metres) in size. A floor space of about 6.5 square feet (2 square metres) is required however to ensure there is enough room to accommodate the grand piano. As it is a digital piano it can be as loud or as quiet as is necessary for the room and the amount of guests that are present. One of the other advantages of the portable grand piano (as with all of Benjamin’s digital pianos) is that it can be linked to additional speakers. These speakers can then be placed around a room to ensure that everyone can hear the music at an appropriate level. The process of setting up the grand piano can take about 10-15minutes. Dismantling will take a similar amount of time. Could we have the grand piano for more than one part of the day? Yes, however if the grand piano is required to be in more than one room then moving it can take between 20-30 minutes. How much will the grand piano cost to have at our wedding? Hiring a real grand piano will often cost several hundreds of pounds. Benjamin’s portable grand piano, additional stage pianos and all other equipment are included in each package price. 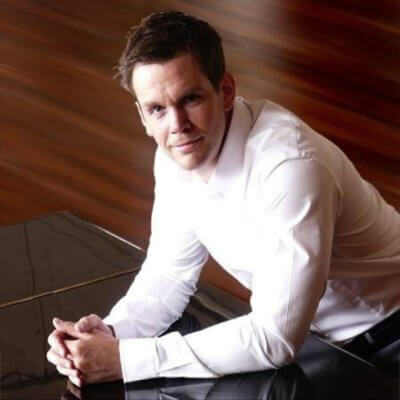 Benjamin will work with you to ensure that every aspect of the music you have chosen for your ceremony, drinks reception and wedding breakfast is of the highest standard. It is important that you are completely happy with the music throughout your special day and so please feel free to listen to some of Benjamin’s recordings and explore his extensive repertoire list for ideas in choosing music. The free consultation service that Benjamin provides is a great time to see and hear his portable grand piano as well as an opportunity for you to listen to your choices of music and to discuss any musical ideas and requests in detail. There is no obligation to go ahead with a booking after a consultation if you are not entirely satisfied with both the music and service provided.